You're currently viewing posts by Pinsider pinballinreno. 739 posts in this topic match your search for posts by pinballinreno. You are on page 1 of 3. I played at least 20 games on it at TPF (the one at the flip n out booth had the shortest line). Im absolutely hooked on it. With the code updates and game improvements Barry talked about, I was ready to buy it then and there! Anyone want a HUO ToM? Wow what an incredible game! I went to the show thinking about buying GOTG or JJPPOTC. Ill get the JJPPOTC well after they get some code updates (the lack of finished code on the hobbit has made me a little shy). Amazing game congrats American Pinball and team! Can I order a game now and recieve it later this year with all of the cool toys like shaker motor, magic glass and mirror/art blades? Or should I wait until september/october and order then? Who do I order from to get a game to reno nevada? or do I have to order direct? I would expect that within a month or two all three add-ons will be available installed at the factory. 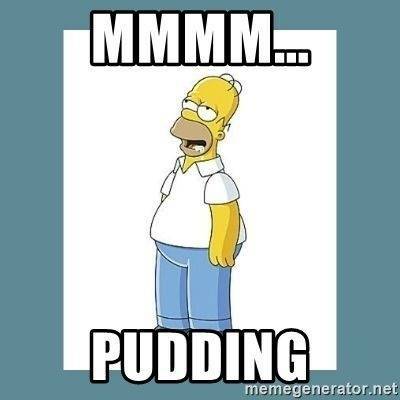 There is a decent size backlog right now, so odds are if you place an order now with a distributor (we do NOT sell direct), by the time you got to the top of the list they would be available, if not you could always tell the distributor you want to wait. We have a lot of great distributors all over the country, most, if not all, will help get a game to you in Reno. You can find them listed on our website (link below). It would be inappropriate for me to recommend one over another. you are correct, they are drilled and T-nutted. You just screw in four bolts to install, then 2 screws to put the safety cover on and then it plugs into a circuit board about a foot away. Probably takes less than 5 minutes to install. I met JJ from gexchange at the TPF meet and greet. He seems like a real stand up guy and made me and pinballgoddess feel right at home. I think Ill give him a call ! Can't wait to get inside this machine!! does the game come with coin mechs installed? If not then which coin mechs should I order for it? rosh is there any area of the playfield on your test games that are showing signs of wear? I'm wondering about putting Mylar on certain sections of the playfield such as over the magnets in order to keep the playfield nice longer. Games at TPF last weekend showed llittle to no wear at all and those games were getting hammered non-stop with long lines waiting to play. There is no way a HUO game would have that kind of abuse over a couple years in a home environment. It was kinda impressive to see how durable pinball machines are over all and through the decades. 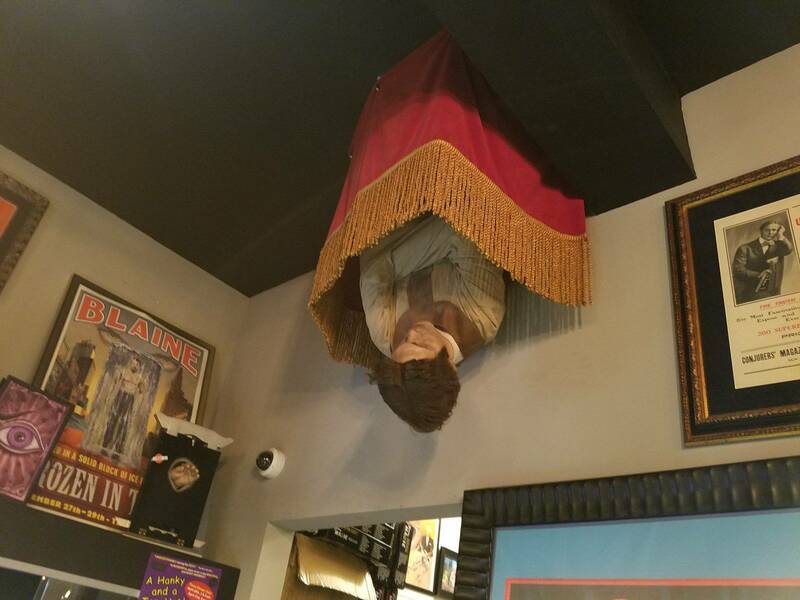 I just put a deposit down for Houdini at Game Exchange in Co. I met JJ ( gexchange) at TPF and he's a stand up guy (and I liked his hat) ! There is no distibutor in Nevada sadly. I guess I will have do it if no one steps up, as I think API has got a great thing going here. Is there going to be a headphone jack available for Houdini? I really like the way that JJP automatically gives you one. I dont think Im alone in asking this. All of my games have headphone jacks with the exception of my AFMr (it will soon). I ask because the call outs/music/effects etc. are impossible to hear in an arcade or even on a busy night in my gameroom. As these game become more complex a lot of us are carrying headphones to the barcade so that we can enjoy the work that was done for us. Jack isn't giving it to you, its factored in the price. I expect to pay for this item if its available to be sure. $50 I think would cover it just like the ones from pinnovators. Or maybe API can get pinnovators to make up some? JJP farmed it out. I also like the external volume control that pinnovators did. So can it be done? Is my question. Could be street power fluctuations? I believed it important to share information about the shortcomings of the Pinstadium product with regards to Houdini. Overall, I like my Pinstadium lighting but there was some issues with hooking it up. It makes sense to talk about it here so that other Houdini owners can find the information before making a $230 purchase. I would also add something else I forgot to mention... Pinstadium did not solve my glare problem as people suggested to me the Pinstadium thread. It basically had no effect on reducing glare from my overhead lighting. Would I buy PS again? Absolutely, it was a HUGE improvement over native lighting. However, I would recommend skipping the $60 flasher option. I had that problem invisiglass or another non-reflective glass reduced it alot. 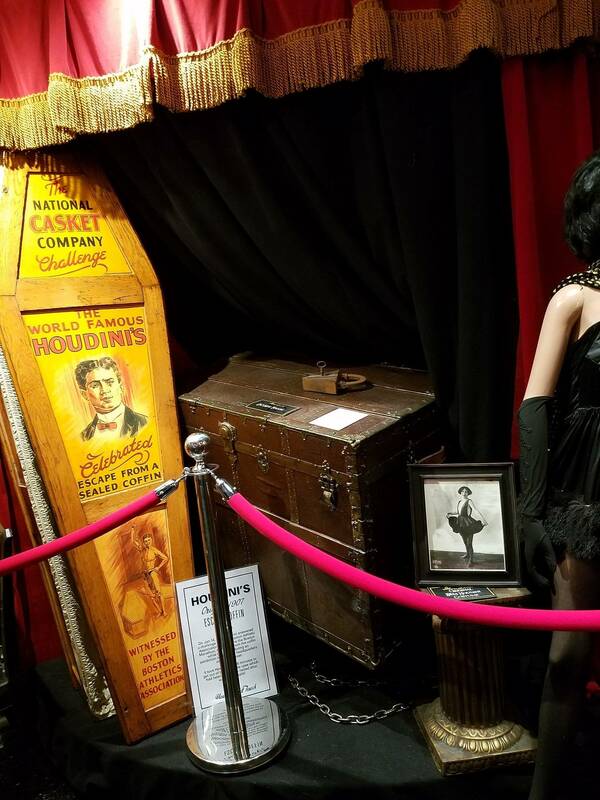 I really liked the use of magnets in the theatre of magic as far as the spirit ring and magic trunk effect. Anything like that planned for Houdini? Don't get me wrong I'm all in on Houdini, can't wait to get mine maybe before xmas. Ive been seeing some neat magnet action on ball from the hands from time to time, swirling, hard toss, they work great. In seance ive had some mean ball drains from lower magnet, but thats pinball. 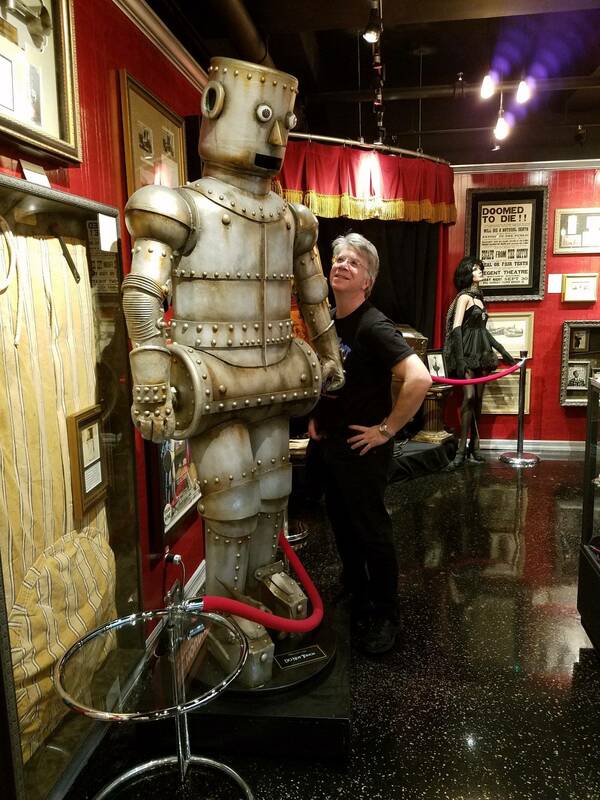 I'm selling my Tom to make room for my Houdini, I liked it that much at TPF! Just waxing nostalgic I guess. I have put barely 20 games on my ToM in the last 5 years. But the cool magic tricks on ToM was what drew me it, not the shallow game play. I think the houdini, once I get it will make me forget about Tom readily. Plus the creepy houdini eyes are mesmorizing! I expect to button it up and start some 'field testing' by end of next week. Hard part is drawing a line in the sand and stopping adding/fixing/modifying things. Maybe if you guys stopped asking for stuff I'd be able to do that. rosh please take your time I would like everything smoothed out before I get my game this xmas! And me right behind you if you dont take it. I have read all these reviews of how hard the game is. I played 2 games at a non-AP booth along with another guy who played 2 games also. It was painful listening to all the audio hints, but before you point this out you can change all that yada yada. Not as a festival participant. It didn't feel fun. Usually you know right away. That and some of their assembly techniques would steer me clear of this title. No Loctite(r) on switch screws? Add a shaker and it will disassemble itself in short order. And other things. Sorry A-P but these are objective observations. There is nothing you have stated that I experienced or agree on. You all should remember the wait for the new GB/PRe!!! Mine was 8 months!! 6 Months for my B66LE!! I was quoted a delivery of houdini from Barry at TPF with all the upgrades (shaker, art blades, magic glass and more or less finished code etc.) in about september or october. Changing subjects a bit, are there any plans for a Séance out-hole protector...does anyone think it is needed? Seems to get a lot of hits in that area both coming and going. Are there any other protectors needed for the playfield? Is the protector too low? It should be even with the playfield or only 1/64" or less below the surface. Beveled holes make that impossible. Ill definitely get the cliffys then. So new question. I’ve had a ball get stuck against this stop several times now. I’m not sure how it’s getting there but when it does the stop and the far left pop bumper just keep going off but the ball doesn’t shake lose. I have to stop the game every time to take the glass off to get the ball out. Any ideas? The ball looks like should be resting on the post not stopped behind it so that when the post lowers it releases the ball? Does that ramp need more pitch? Is there something on the ramp stopping the ball? I thought the rca's were inputs, not outputs on the amp. I ran mine off the wire outputs like it says to do in the manual. This is correct the lower speaker jacks that are red and black on the mounting plate side of the unit are for the subwoofer the upper speaker Jacks are for your speakers the RCA jacks are for your aux inputs. It's hard to see since the labeling is right near the wall of the cabinet but they are labeled sub. Happy to share. Worth noting I PM'd Barry directly who advised me on the correct install. What you'll need: A powered sub (such as the one below which someone earlier in this thread linked to) and speaker wires. With power off, remove the back box. Then remove the 4 screws attached the monitor, disconnect the HDMI and Power to the monitor and place it aside. Attach speaker wires, then thread them through the bottom, out one of the grills (see photo). Plug wires into sub, plug it in and let 'er rumble. You'll have to adjust sub settings by using the knobs on top of the amp. Problem is, you won't be able to read what they say unless you remove the amp... I'm lazy so I just adjusted on-the-fly while the music was playing to dial it in. Are the audio settings available in the game settings? Im praying for a headset support or a mod and would love to be able to tweak the sound for this. There are no sound adjustments within the software. All sound adjustments are done at the amp. It was great meeting you at TPF Barry! Everyone there was so very helpful and knowledgeable. What a great team. Is the amp easily accessible? Those settings would be sufficient for just about anything. 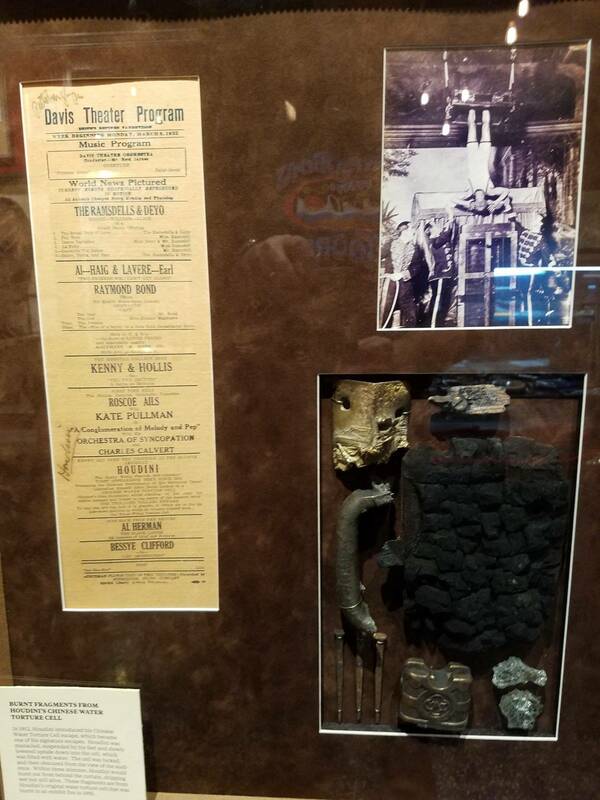 From what I understand its buried in the backbox and the screen has to be removed to get to it? Or can it be relocated? I dont have my game yet so Im interested in this. Screen only needs removing if your hooking up a sub. The controls you see Barry holding are pointed up, so when backglass is off you see those adjustment pots. Easily reachable. With amp being in back box, i just went with a few backglass off games and made it to my liking. However, the settings shipped out were plenty good out of the box. That's excellent news! I think I will definitely add the sub as well as a headphone jack to this game. I really hope that some cool tricks with the magnets are going to be added to the code as Im replacing my Theatre of Magic with Houdini. I love the magnet tricks in ToM..... Its Magic! I forgot to mention there is a master volume on coin door controls like every other Bally/Williams. In the long run if youve had your TOM more than a couple years, you wont regret the upgrade to Houdini. Much more to do and master. On a side not about subwoofers, thats todays project! I got my ToM HUO in 1998 (2nd owner). A lot of the time I can get to the final mode on ball one in a 5 ball game. I havent really played it in 10 years but people play it at parties and they love the magnet tricks as do I. That being said, Im not holding on to it for guests. I want games that I like to play. I really liked Houdini at TPF and decided to buy in. I hope the finished code is amazing and outrageous! I see a lot of guys adding subwoofers on the floor below their games. Is it possible to add a sub inside the game (im just thinking aloud now...)? I know that absolutely the external sounds better, but some games have sub onboard now or at least a snappy base speaker? I just added a sonos play5 to my game room, so Im getting more interested in audio again after not caring for 25 years lol. You could mount it in the game floor...But, you would have to do some drilling as there is no speaker on the floor from the factory. The little rusty gears in my head are starting to spin lol. Thats a great little amp. Perfect for our use and inexpensive to replace if there are problems. 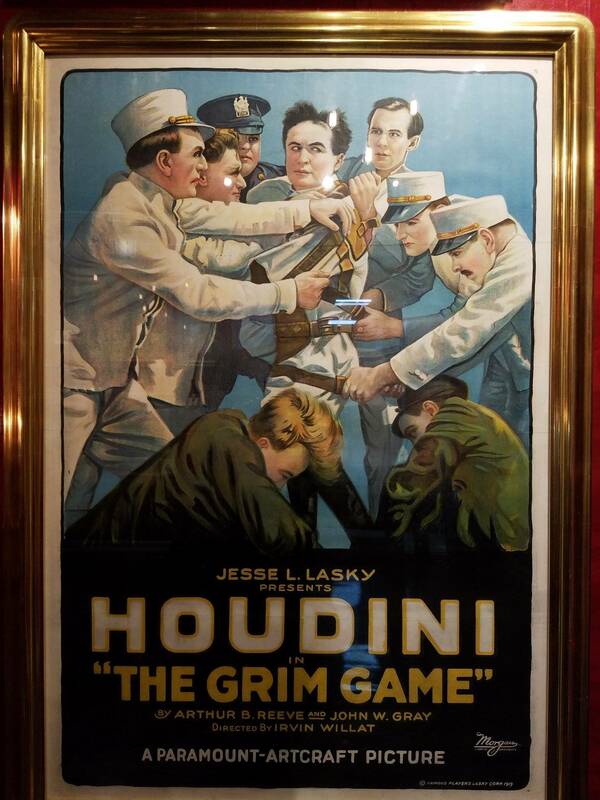 I definitely need some of those Houdini posters for my game room! Maybe I could download something that would fit in a 8x10 or bigger, frame? MGC update . . .
Games were played not stop from open until close, (when I left the after party at 2AM, the games were all still being played). 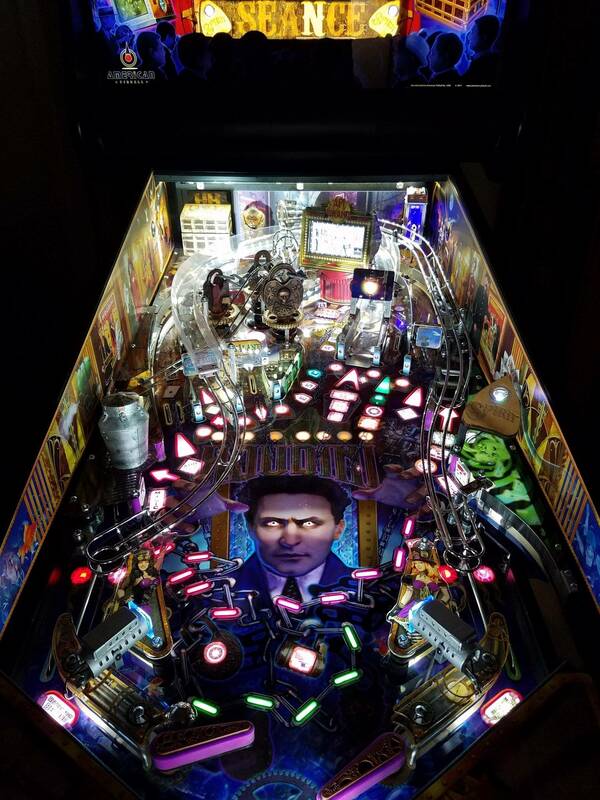 We never took the glass off (which was nice, since it was magic glass and you need to obviously be extra careful with those), other than when we got there to set the coil strength and each morning to give the playfield a wipe down. Speaking of magic glass (and the shaker), I got positive feedback on both, but if anyone here was there and would care to comment, please do. Games were running the test release of the new code. Only a couple of things popped up so I expect to release that code once those items are addressed. Some key stats, this was as of 2PM yesterday. We had a few cases of someone starting a four player game and walking away, so that obviously pulls the numbers down in length of game and scoring. There were 18 scores over 500K and 3 over 1,000,000 (I know one guy completed all 5 jail escapes, but did not get a chance to start the mini-wizard mode from it). 48 games were under 1 minute, but a chunk of those were players tarting games and walking away. I am totally happy to wait until a couple more code updates occur and a few more hardware tweaks possibly. So late fall is perfect for me. Keep an eye on Ebay for Circus Posters. Not originals. One thing about pinball that comes up is about playability. Is it easy enough for beginner players and does it captivate them enough play it again? Is it challenging enough for moderate to advanced players and does it have a deep enough ruleset to challenge them? I read a lot about Houdini having difficult shots that should be easy like the lock loop. I also see that the milkcan shot is difficult to impossible without mastering a rolling backhand shot. I played I a lot at TPF 2018. I did not feel that the game was overly difficult but it was very challenging to start a multiball. Which of itself is not necessarily a bad thing. Non-stop multiballs like in the hobbit are tedious and boring. I put up a score of 500k without a lot of practice. I am really looking forward to getting my game. I hope code refinements make the game fun for everyone. It sounds like its going in the right direction. I absolutely love this feature on my JJP games. It gives me another layer of security as far as pc failures or what may come as my game ages. I also like the way I can save multiple backups (if I rename them in a folder) when Im testing out new or changed settings. If I totally screw something up I can revert to a setting that worked well. Clearly you have not recovered from the show, since I am pretty sure you mean 'across' not 'on each'. And while I know it felt like 73 hours it was more like 48. I don't play or own it. WTF? Ok, its really not as difficult as many other games (AFM for one lol), challenging but not impossible. Seems to be about the same to me, they are awesome and piss me off at the same time! The action off of hits to the Magic targets is phenomenal and has been very well coded I think. I really lile the seance magnet action on my TAF. I'm hoping for amazing cool stuff down the road. Loving the fame, but I want to push start and replay ball one when I have a crappy first ball. Also would like to bypass menus as I'm impatient at times. So a slow reset and use flippers to kill animations has to be added to the code like on other games? Love this option on my Dialed In. Hold the start button for 3 seconds to start over. I don’t use it often but useful for that really unfair ball 1. I use it all the time on my AFMr and other games. I think holding both flipper does cancel animations and instructions. Certainly does for instructions screens. Also holding both flippers speeds up the end of ball bonus calculation. You can, on almost everything, with the major exception being the magic shop. You need to hold both flippers in for about a half second. I've identified the issues behind both of these issues and the fixes are being tested. There will likely be a minor bug fix release with these and a couple of other minor tweaks in the next few days. This is in progress but it is not reliable yet as far as properly resetting things. How about a setting to kill the pops when both flippers are pressed. It makes for a fun strategy on my woz. I can coax the ball in a desirable direction via the pops by turning the flippers on and off. Thankfully all I see is ignored user for the above 2 posts. Ignore is a wonderful thing at times. This is really great and amazing but I think the curtain above his head looks like clown hair. Yes, 1 red (+)and 1 black (-) for the wires. 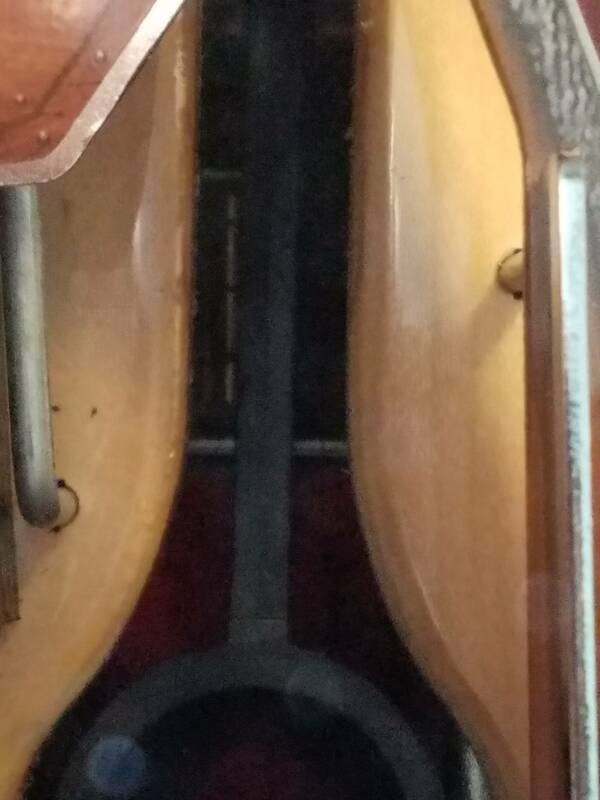 Probably the pair on either side of the lower fittings. but not the middle 2 black (minus) wires by themselves. No, the filename is "houdini-gamecode.pkg" - no date or version. They're all named the same thing right now, but Josh has said they were transitioning to having the version/date in the filename as is standard with everyone else. Its the same as with the JJP updates, You can name the zip file whatever you want but the actual package after unzipping will have the same real name. I have to be super careful and put new unzipped updates in their own folder with a proper folder name for them so I can keep track. The only trouble I have had is when I pick up a flash drive with a file on it, I dont have any idea what version it is from the name. I absolutely need Magic Glass, art blades and the shaker motor on my game when you build it ! As of now these will not be included as standard equipment. I want it all, you guys are amazing! One non complaint observation I wanted to share having Houdini for just a few days. The play and features of the game are Very power sensitive!! On day one I tested the game and the catapult was missing by a few inches. No issue one bump of coil setting and it’s spot on. The next day playing my wife decided to play CV and turn on one of the slot machine. Catapult way low now and it won’t even pop it up the wire ramp. Dial it up just one again and perfect. Shut off CV and Bam it’s practically hitting the back box! Just an observation especially those that have shared concerns playing at location spots where some or many games may be in use. Just Starting a second or third pin would cause the Houdini to act poorly from VUK to flippers etc. not sure I ever seen this temperament in any game before but thought I would share for others as these hit home/field arcades. Now I have dedicated 20 amp power to my game room. It's on a separate panel. But when the street power is low I can feel it in the games. Zmeny? lol guess it got unbolted from the floor. In all fairness I need to play it more. I was merely Commenting on an observation. Usually people don’t sell games so quickly that they really enjoy. And the fact that the games aren’t going for large premiums tells me the existing demand is prob comprised people that want to skip the line but are not necessarily in love with the title. People sell for a lot of reasons. People buy for a lot of reasons. Some are collectors, some are players, some just want the latest and greatest for the moment and continuously sell them off. They can afford their passion. There's an AFMLE for sale with 56 plays on it... after a year of ownership? WTF? I put 50 plays on mine the first night i got it, mostly from testing lol. So all the way in on all 4 leg levelers? WOW. My rear levelers have been screwed out about 1-1/2 inches since day one. There is no bubble level in the game to verify 6% degree angle, is there? Use one of the level apps on your phone? 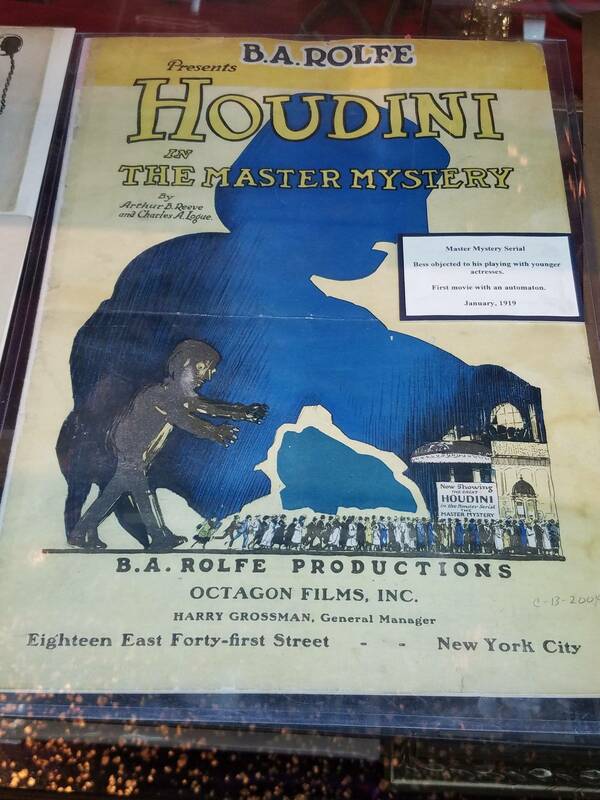 Any way to buy a large Houdini pin poster? Would love one next to the pin when I get one. I also put a square of mylar on each side underneath the lockdown bar where it contacts the side rails like CGC and JJP do to reduce friction on the powdercoat. I generally put a piece of self adhesive felt underneath the lockdown bar where it rubs on the siderails. Also along the inside rear and the sides of the lockdown bar where it rubs on the cabinet. This also helps center it as its 1/8" thick. Multiple layers can be added if need be. I started doing this on some of my games because the lockdown bar would shift a bit while nudging the game (even though it was adjusted and clamped down) and now they feel lots more secure and solid. Michaels and walmart usually have the thick felt on a backing for good cheap price by the sheet. I havent tried the felt tape but I imagine it would also work. Barry - I had asked about the knocker and have the same question about the rubber inserts. Is AP planning to send these items to early customers that received machines without them or are you just adding these items to new machines off the line. I'd just like my expectations set either way. If the answer is no, I'll move on...Thanks. Post the vid you made? It's entirely possible to rework the guide at the factory or aftermarket if necessary. I wonder on how many games this condition exists? Hey rosh, whats your next game? Cant remember what game it was... from a box of them I had. This one was about 18" long. I cut the exit just like the stock one so the hole on the guide would line up with the post then cut. Bent the radius to almost stock then cut to length by the plunger keeping it about a 1/2 inch longer. Bent and cut the rear tab. so I could put a screw in the back of the wood rail. I buffed out and installed. Its not about the radius , its about how the ball transitions though the radius from the shooter lane. With this guide it sits closer to the ball just enough and I can start the radius where I like in a slow gradual bend so the ball does not ricochet off like it does with the stock rail. I worked with the stock rail for over two hours and could not gets a consistent pull that worked ........the harder I shot, the higher the target hit which is the way I wanted. You narrowed the lane so that the ball would have less lateral inertia to rebound off the sides thus keeping its forward motion along the guide. You the eased the curvature to allow for a direct transition to the playfield, thus eliminating any bounce off the end of the lane guide. Now a simple change in velocity can allow one to hit the skill targets, as it should have been all along. A very simple and elegant solution that can be easily adapted on the factory floor with existing inventory. This would be necessary to reproduce the result. What modifications can be made to the existing lane guide in order to reproduce your result? Does the guide have to be extended or can it be moved forward slightly or is it a matter of adjustment? The ball will follow a predetermined path if there is no lateral movement even if the guide runs short. Its a matter which path is chosen via the narrowed lane guide. Does narrowing the lane and altering the curvature of the existing lane guide have a similar effect? The existing guide can be removed, reformed and re-positioned pretty easily. Others will want to do this. I actually did not drill the top center mount ( I can do that any time if nothing else is produced by AP ) just the rear one by the shooter which you will never see if someone removes I just used very thin strong 3m double sided tape, rear screw at the shooter and front flange to the post to hold. It should be an easy nonexpensive design change. Im certain that if you want to modify your existing lane guide in a way that is documented and reproducible for other owners. By either dremeling out the mounting holes or by bending a smoother curve, API can get you another one for your troubles. rosh, barryj , Any thoughts on this? Or do you have a fix already on the floor? Maybe you can enlist a pinsider to help out. My game has never had a problem hitting any of the three targets, especially the third one. I think its a matter of lane guide adjustment. Ive spent hours getting all of my games lane guides tweaked, bent, ground off, drilled out etc to get them running smoothly. With patience and a little thought, most games can be made to perform perfectly. It does look like it should be square to the edge of the playfield. I also would like to know how other playfields look. It would definitely explain why the 1/8" changes everything. Paper art blades are what I would expect from the aftermarket, not a manufacturer, not API. I want to pay more for higher quality scuff resistant ones. Do I have to copy them and make my own at my local sign shop from durable materials? Still I might be inclined to have them remade on durable scuff resistant material. My sign guy needs the work lol. For those worried about the art blades - pick up a set of these...I have two sets I use all the time. The mirror blades on my AFMrLE are also quite thin and easily damaged. This will be very handy for my Houdini when it ships with the also very thin art blades. Or you could do what a lot of us do for home use. Simply go to a craft store and buy five bucks worth of poster board and shape it as desired to protect the sides when you lift the PF up and down. The guides you make will last forever. 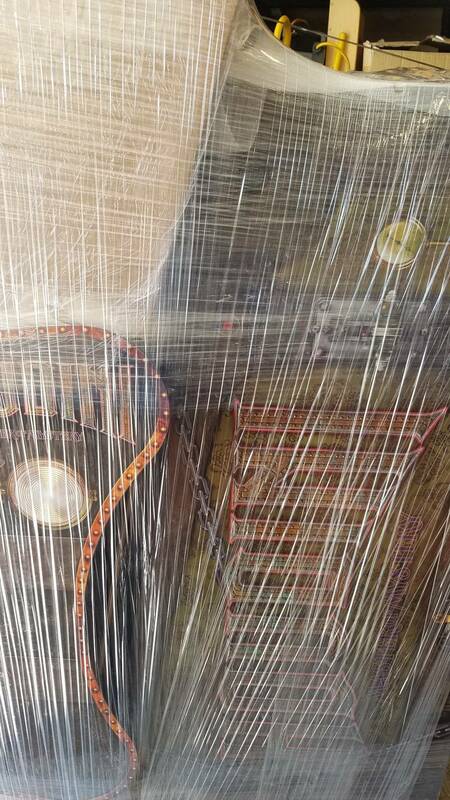 But seriously paper thin artwork in a pinball machine really doesnt make any sense unless they are selling it for $1.99 as a disposable surface. Back to what I said earlier, any sign company can make them out of very durable material for a fair price. I had a PVC or vinyl carbon composite graphic made 3 years ago 10' x 6' for a wall out of this incredibly strong stuff. Its impossible to tear and is UV proof although it can scuff off the ink. It was pricey at $15 a sq ft installed but so far it looks great in my commercial environment. I know they can be made to be tough, so charge me more money? Im going to use them a lot especially to keep from scratching my Krylon painted wooden black sides on my other games. My shaker does as you said, when the lid closes it shakes. I just thought it would have started sooner. Love it in the pops and elephant! Maybe it should shake when the ball launches like a cannon? That would be a cool touch! Well I guess it would be super difficult to have the shaking occur while waiting for or after the trunk opens to receive the ball. And much easier to have it start light and end up strong like the cannon was building pressure. Then maybe have a sound effect for the trunk opening and closing and a boom or a crash when the ball hits or something? This might be hard to time though. Finally a chance for me to own one!! If you win, send it to ltg ! He needs to rip it apart and tell us what secrets are inside. Engineering wasn't to happy with my last skill shot fix! Who would think hammering next to the playfield would be an issue!? Now to introduce the new and improved skill shot fix, guaranteed to let you hit all 3 targets "if you have the skill" or something like that. Will all the games now on the line (mine, next week I hope) have this adjustment? So got Houdini in the house a couple of days ago, absolutely love it! But, started having resets every game for some reason last night. Try to put a second player game on and machine would go dark and reset. Try to play through a single player game, maybe make it to the third ball, and then goes dar. Kicks a ball out into the shooter lane and resets. Anybody experienced this? Rosh or Barry, any ideas? Is it something as simple as a loose power cord? They should fit snugly. But it could also be an internal loose power connection. If you bend the rail, how does it screw back into the same holes? It will still fit, you are just making slight change. But I like the before picture the best. You like the first picture better then the 3rd? Also I agree it’s one of the least needy games out there but in a dark room makes it better. Especially if you do colored lighting and the theme and play field colors are perfect for uv glow effects. I guess it's not for me. Should feel it when the trunk closes after the ball is thrown. I believe they are going to move the shaker location in the future to make it easier to install. It should fire on the match, although maybe that is something I added more recently that has not gone out yet. I'll continue to look at ways to use it that enhance without being forced. Shaker should probably rumble and build before the catapult fires to draw attention to the event. That is a 22 inch throw.. We don't want something in our control to cause a potential miss. It would be spectacular though. The pause, the build up, and then the throw, the catch or even a miss...! Very exciting. If the shaker stops before the solenoid fires it shouldnt upset the sequence. I have played a few games on Houdini and am really trying to love it but I am 'on the fence' about buying one. I love the theme, art, LCD and toys but the gameplay didn't grab me. Having said that, I didn't know the rules, so was just shooting the balls around. There seems to be quite a number coming up for sale or trade, with very low plays, here and in other pinball groups. In hindsight, would all or most of you buy Houdini again, after owning it for a while? No flames, please. Just helpful, honest, opinions will help me decide. I see 2 on pinside. This doesn't seem the norm as you infer. I see many more iron maiden for sale and it's been out less time. I've tried a lot of different settings, had them cranked up to 14 or 15 for a while but tried turning them down to default (11 IIRC?) last night after adjusting the switches again. I can barely fit a piece of normal printer paper between the blades now but they are still not as active as I'd like them to be. It's kinda like the debounce is too long on the switches or something. Pops are a pain to adjust, it takes a little time and effort but you dont have to do it often. "I can barely fit a piece of normal printer paper between the blades"
Gap still too wide. Make it even closer. On many of my games I have the leafs nearly touching, so close that I was sure they would just arc across. Make sure the spoons are tight enough and dont move at all. Make sure that the skirt pin is not hanging up in the spoon. The spoon should not be tightly jammed onto the skirt pin. The skirt pin should just rest lightly in the spoon and the skirt pin should just barely deflect the spoon maybe 3/64" or 1mm when assembled. Spoons can be sanded and skirt pins can be sanded to get them right, but a couple 1000th's of an inch is a lot to take off. I have only done this to skirtpins that were very tight in the spoons. It usually had to do with aftermarket switches and spoons not fitting right. I have had to adjust leaf switches with a meter to get them right. Power off the game, clip ohm meter on each leaf, adjust until you could almost breath on them to get a reading. Test in game, if they are super close like the thickness of hair, they will be very lively. If they are too sensitive, leave them alone they will loosen up in a few games, but avoid having them "machine gun" on their own. Properly adjusted they are on the verge of going off on their own but dont activate when you pound the playfield firmly. If I hit the playfield really firmly generally one of my pops will activate but nothing else will. The adjustment is similar to sling switches but a little more care has to be taken, its a matter of taste. Sounds like an opportunity to add a sound effect, call out or an applause sound byte to the switch. This combined with a shaker that ends before the ball is launched would be impressive if it works reliably. Open all four sides of the box and inspect it thoroughly before you let them go. 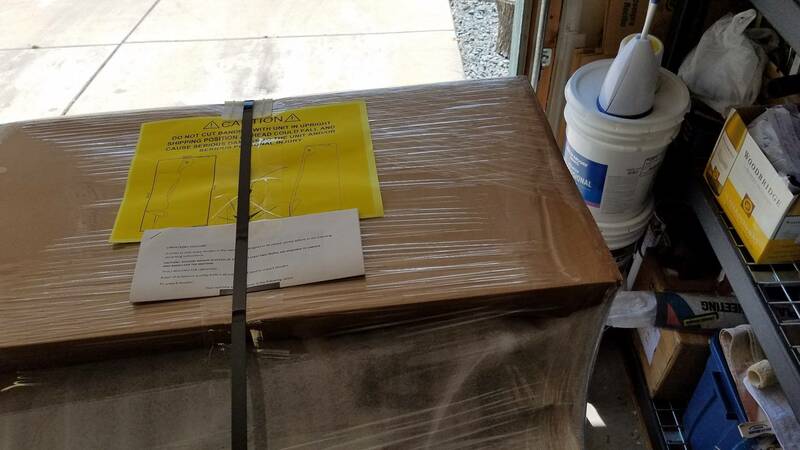 You can always tape it back up if they dropped it or screwed it up in shipping. Too many bad stories about casual and careless shippers in the last few months. I absolutely hope for the best with your game and with mine coming up. Too fast and you post pass. Any slower it hits the target or tries to go up the ramp. I don't think it's a pitch tissue. The games I played were set at 6.0 degrees. I thought they could have been increased maybe to 6.2 or 6.25 but not really much higher than that. Lower the pitch and lower the flipper power you'll have more control to a point. When troubleshooting angles and adjustments on a game, I use a straight edge from The Flipper, moving The Flipper in a variety of angles, to see if it's even possible to make the shot. If the shot seems too difficult with the flippers set at their default angles, sometimes it's necessary to loosen the flipper bats and change their angle 1/32 of an inch at a time until you get the desired result. So in essence try changing the angle of The Flipper bats slightly. Very slightly, a little is a lot. Make them both the same at least when you're done. What should I try first. The ball is consistantly going to the ramp. Do I lower or raise the flippers to start? Try raising it at first. With flippers aligned with their tool I have no shot at the back hand, With the flipper slightly raised up I can get 30% of the time, With it noticeable raised I can hit it 80%, but flipper is noticeably high. You can also raise the rubber on the flipper. Raise it so that it is level, or near with the top of the flipper instead of the bottom ledge. This was a fix to lower the airballs on some games. Different flipper rubbers affect the games a lot. The rebound off the rubber until the ball settles down, is a huge factor. I have superbands on some games because they play better with less bounce. I have Titan silicone rubbers on a couple others and regular latex on some others. It depends on how the game plays as to what rubber works best for you. Im thinking, but havent received my game yet, that the superbands since they're low bounce might work really good on Houdini. I want to join the club. Are any distributors making deals on this pin? Discounts, add-ons, shipping, no CC fees? I ordered mine from JJ at gexchange . Generally prices are locked per manufacturer agreement on NIB. Well it finally happened... I broke a million in points. I was so excited that I had to drag my wife over to witness the spectacular event. Unfortunately a few games later my right flipper return spring also broke... After a bit of investigating, it appears that the flipper had too much up and down motion and was causing the plunger in the coil to bind a bit and the spring became over-stressed. Has anybody else had any issues like this? is the flipper shaft loose in the pawl? or not clamped properly? I guess if its loose, anything can happen. I’m about to order one of these in the uk. Will I be able to add the blades and shaker motor after? My office doubles as a conference room, so most meetings I just stay at my desk and work on stuff not requiring much thought. In my experience, liberal ball saves (20+ secs) on challenging games and modes, are the bread and butter of the novice player. Having liberal adjustments for novices in the settings menu are very important. At $1 a game people need time to have fun in order to make it worth putting another dollar in. That would actually be pretty cool and Oh so much content. I’m a new owner, won the Houdini from the NW show so this is my first real time playing it. I am loving the game but my last three games have been almost infuriating, I feel like I’m constantly fighting the magnets with my left flipper, especially in the heat of multiball. I didn’t notice it much my first 10 games or so, maybe I just had bad luck with it a couple of games in a row. What is the setting on it? Why would I wear ledenhosen? The real question is "Why Not"? Is that required tech support gear ? Disclaimer : I wonder if they have that available in fat ? you finally get to trunk MB and frequently it’s over in seconds. rosh the 10 second grace period is way too short, the balls barely make it to the flippers in 10 seconds. 20 seconds min I think for this mode. Oh, and can you have all the other 100 items on your desk done by the time they make my game next week? but I have seen it. OK,magicians,listen up_ my left flipper situation is solved! It seems,the left flipper spring broke! Why?The bracket that holds the spring and plunger were very rough edged! The spring pulls across the bracket to pull back.Every time it did,it sawed a small grove in the metal! Finally,the little spring snapped! I had to file down and smooth the edges of both brackets,and reinstall 2 common flipper springs! The ones I used were not as tight as the ones AP used , so I get a little more flipper power!Thank-you everyone for the help!!!! Cut off a couple loops on the spring and bend a new hook to match it with the other one. Can I order a knocker with my game order yet? Done. Calling JJ right now. Just doing my Job. I am here to help. I’m not even close to good enough to get hardly anywhere on 3 balls - there are still way too many times where the ball just jams down the outlanes. So I’ve adjusted the mode times (60sec) and gone to 5-ball . I still can’t get very far some games, which I think is A) an indication my game isn’t totally set up right (game is not level! Lol) and B) there’s definitely some luck involved. So basically , you know.. it’s pinball! Whenever I get a new game that I have never played, I dont think about scores at all. I focus on one side of the game or the other. Say left or right playfield. I get to know the shots on one side of the game over repetition for quite a few games, then move onto the other side of the playfield. This breaks the game down to a simpler less random environment and allows me to master the shots in a more focused way. After I feel more confident, I am challenged to reproduce my work "on the fly" in an actual game environment. Its exhilarating to make my practiced shots by "feel" other than by luck. Have you ever played AFM? Im surprised I havent had to replace al of the post rubbers on my game yet. Bricked shots are not a reason to give up on a game, its part of the fun! Yeah, lack of audio is really a reason to walk away. I dont know why there is no headphone jack included. JJP puts them on (with external volume adjustment!) so that you can really enjoy the work that was put into the audio. barryj rosh hint: headphone jacks are really a good idea and inexpensive to implement (give pinnovators a call please). Adapt, learn and be rewarded. Pinball is a lifestyle. I edited my post to add some stuff. I played the game a lot at TPF and though it was hard to hear, I found the game at Flip n out's table, and could focus on it. It took me about 10 games to get the feel of it. Then I was hooked. Bought it as soon as I got home. I like when I can just learn the rules of a machine organically, and then after I have the basics figured out, go read up to see what I am missing. A lot of the strategy and details of game play are easier to understand once you have a sense of the basic game play. Often though, you can't fully appreciate the game until you understand the rules. Shoot at the flashing light? Power supply needs some more large caps to even out the power? 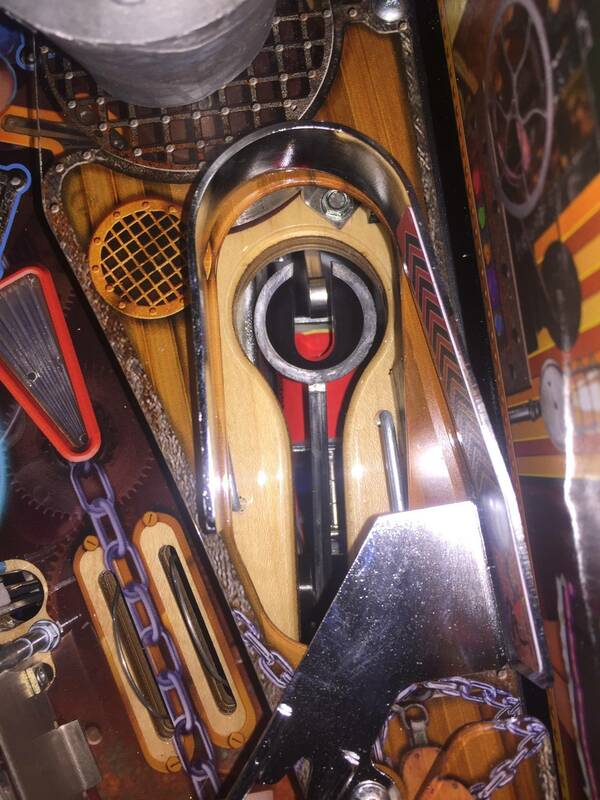 Theres a reason Bally/Williams/Others put all those big redundant parts into the pinball machines. Just an observation. Not all sites/locations are created equal. The Variac as stated above, I think is the correct solution. API will have to probably add a transformer/capacitor at some point. Power is just to unreliable in all areas of the country and all countries in the world. Its basically the big heavy transformer that Williams and others have used for years. You can add it inline, just like Williams did, by just plugging into it. Im thinking of getting a couple just because my games play slow on hot days with all the A/C running on my street. I have seen my voltage drop to 97V and then back up to 106V a lot. But still once in awhile it's 115V for days on end. The games are amazing at the correct voltage/current. Hitting the trunk reliably is a recurring issue that was allowed to flare up and there is a simple solution presented. Sounds like something AP should be buying and adding until they can adjust their boards. Would this plug into an outlet (inside the game) or to game power cord (external)? A variac plugs in the wall and then you plug the pinball machine into it. I would recommend the little $5 plug-in voltmeter so that you can see the exact voltage coming out of the variac though I would not trust the dial. One could certainly mount it inside the cabinet though for cosmetic reasons. I see no reason not to. You would be basically recreating the standard pinball Transformer system, at least as far as the mains go. I really liked the steampunk look of the variac. I think I'll get one just for the way it looks! I also like the look of the toroid Transformer it looks like a little Nuclear Power Plant also way cool. I personally think a line conditioner would set you guys straight. That will give Houdini the smooth, sweet power it wants. 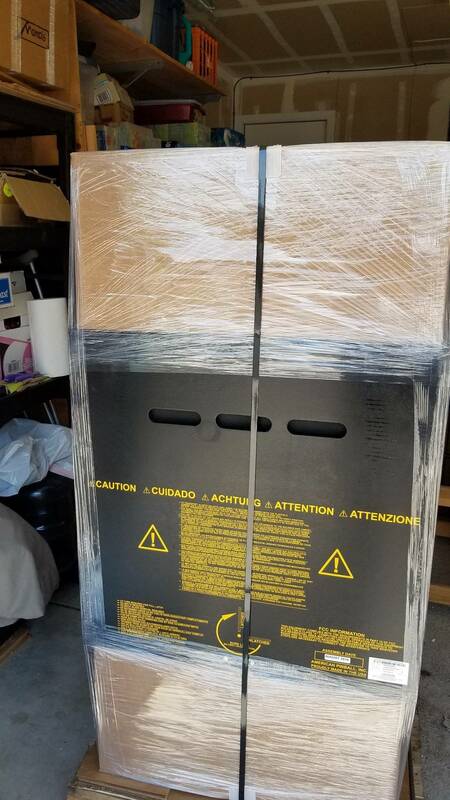 I have a couple 1500w tripp-lite UPS boxes already, but they cost more. That's the one I linked above, I think it's a good model for the application. You can hot glue some pipe cleaners, bendy straws, and a bbq thermometer to the outside if you really need that steampunk feeling. It was the giant knob from something like Forbidden Planet or some retro sci-fi thing that I really liked. But I like where you're heading with those ideas! The EOS switches are in the programming. And are used if the ball pushes the flipper down when it is in a hold state. And, yes, you are correct. The EOS switches are not necessary. And really don't fix much. But, I was having problems especially in multiball with a held flipper getting pushed down with a hard hit or multiple balls hitting at once. The EOS switches didn't fix it 100% but did help quite a bit. So without an EOS switch if a flipper gets hit hard it will just drop? The hold power is anemic. I have read several posts about left flipper dropping during multiballs. How does the computer know if a flipper is deflected downward from a hard hit without an EOS switch. It looks like I will also be installing them since the code already supports them. Get ready to make up a parts list and simple schematic for us to use for this aftermarket fix. I am really considering buying this game after playing it with you and Joe Nick. What a fantastic looking and playing game. What is with the power issues that I am reading about? Are there any other issues that I should be concerned about? I guess the main question is......Should I buy one? All of the seemingly scary issues are actually simple and inexpensive to fix and no big deal. The game is unique and gorgeous! The variac won't add power like the line conditioner will if it has a battery. But it will smooth it out. Play it then determine if you want to own it. Thx Lloyd ! Yeah that would be the dream. Not really Brother. 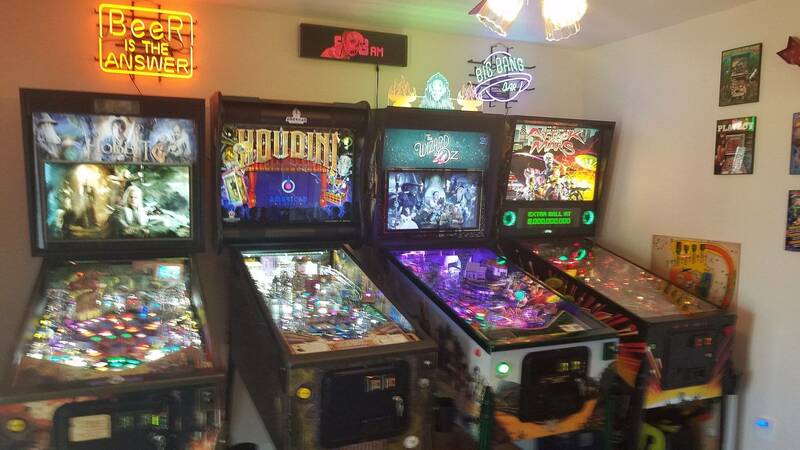 Is there a distributor that sells pinball machines in your area? Rick and Morty is going to be AWESOME ! ! ! ReplayFX, I will be having a seminar at 1 pm on Saturday with Q and A, and the topic will be.... P-ROC. Not "Pinball Techs in Lederhosen" ? For the people having issues with the catapult shooting right or left. We have discovered that over time the catapult that was shooting fine, all of a sudden is shooting wide in either direction. The fix for this condition is, disassemble the catapult arm from the fulcrum clean with rubbing alcohol or similar, reassemble and enjoy. What about adding a tiny drop of sewing machine oil like on spinners? Do you mean where the metal axle goes into a hole in a piece of metal holding it ? I would. The spinners last years longer before they break. I would think it would be ok.
Just clean it out when necessary with naphtha or alcohol? Im watching my AC power in my gameroom since I got the little plug in voltmeter off Amazon. It ranges from 116v in the afternoons to 120v after about 8:30 PM. When the voltage is at 116, all of my games play like crap because they were adjusted in their settings to play good at 120v. When the power is at 121v or higher the games play amazingly well ! On low power sessions, other than adjust the settings I just practice modes or techniques when this happens. Unfortunately during the summer (now), over the days that the temperature is 100+ degrees low power happens daily. For days on end. I imagine I can get the Variacs, set them to 115v, readjust all of my games to play well at that voltage and solve this? What voltage is the Houdini tested at in the lab? 110v? 117v 120v? Will the mentioned somewhat available daughterboard stabilize the power draw 10 110v? 115v? This would be good as my power almost never goes below 115v. 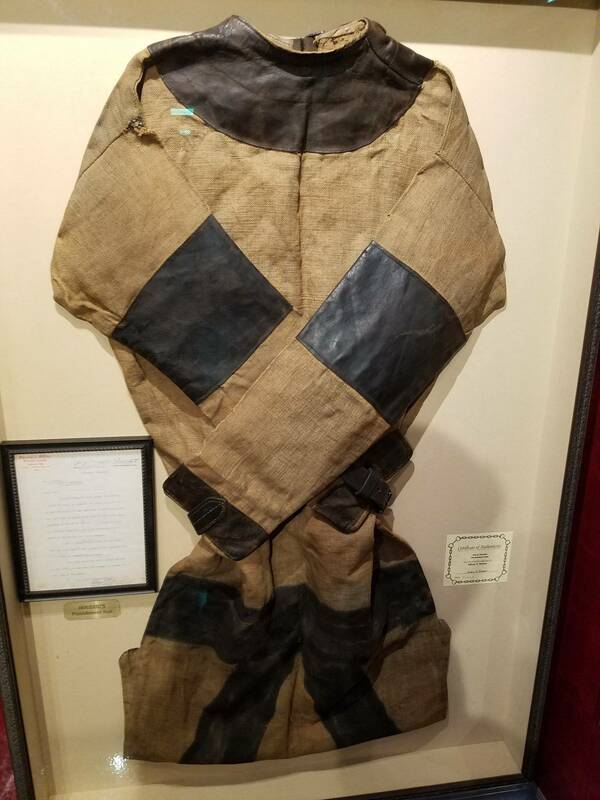 I would like to get more info on this. Im perfectly willing to get the Variacs if its a permanent solution. I never gave it much thought until reading this thread. How would I test to see if I need one? I bought a plug in voltmeter that plugs into the AC outlet so I can visually see the power change from a distance. I have an APC BR 1300 VA. The problem is that uses up the battery fairly rapidly when the power is low so you only get a few hours and then you're on bypass. Will the ls 1200 line conditioner be a better choice as far as how long it will regulate voltage. I just ordered two of the tripp LC1200 off Amazon I'll report back with my findings. Totally agree, people writing this game off I think made their decisions way to quickly, it's a blast! The same people wrote off WOZ a code version 1.8. Now WOZ version 6.61 is amazing, polished, fascinating etc. 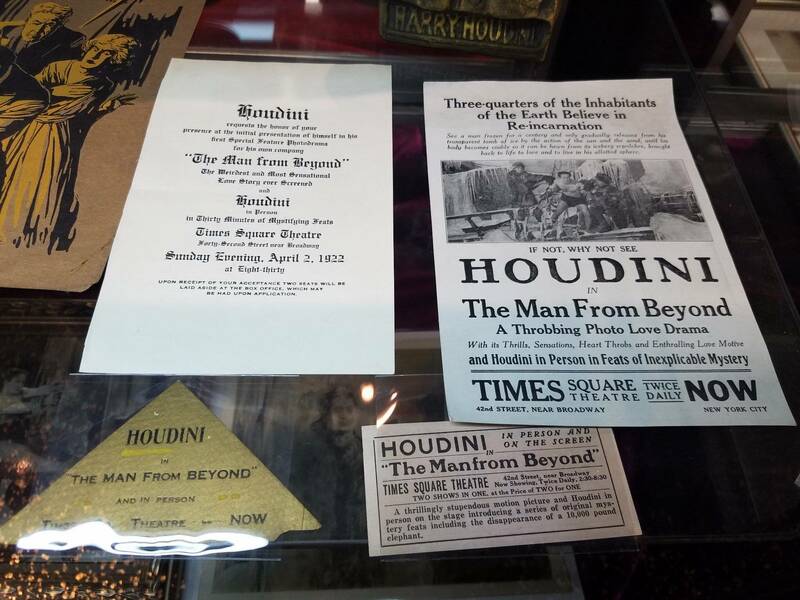 I can only see incredible things for Houdini down the road. Keep up the great work Josh, Joe, Barry and team ! Constant attentian to excellence is the key to success. I was told to fill out a request on the website to get something sent to me for the voltage drop issue. That was weeks ago and I never heard back from them. Has anyone got it yet, or received conformation of the request? Are you having voltage drop at the wall outlet? I ordered the Tripp Lite LC 1200 line conditioners. All of the research and discussion points to that direction. All of my pins are suffering this summer and running like crap when the wall voltage drops. I've had a Furman line conditioner on my Houdini since day 1. I've also had catapult issues, and the line conditioner did not seem to affect the the issues one way or another. Playing with the level of the front legs seemed to help and try the idea of cleaning the fulcrum and possibly re-centering the catapult if necessary. I'm looking for line conditioning mostly so that I don't have to adjust my settings every time I go to play Pinball during the summer. My power seems to be random as far as whether it's 115 volts or 121 volts. It makes gaming interesting, but I'm looking for more consistency. What kind of symptoms are you having? My Iron Maiden music seems to fluctuate but the callouts and game related sounds are fine. I wonder if it could be having these issues from voltage problems. At 120 volts everything all of my games run flawlessly, powerful, slings are fast and crisp and balls easily go up the ramps. Basically the games played great as they have been tweaked and tuned to play so. At 115 volts without altering any of the game settings. Balls do not go up the ramps flippers seem weak, slings are so anemic that the balls just go straight down the middle, pop bumpers are a joke. It is the same whether I have only one game running or all of my games running at the same time. I'm on a 20 amp circuit dedicated with only four games and a Vendo 44 Coke machine. Other than changing all of my settings every time I go to play a game, I would rather stabilize the power and enjoy my years of carefully adjusted settings. This is not isolated to just one game, it is all of my games, from JJP hobbit to theatre of magic. Some games are more sensitive to power fluctuations than others. I'm hoping to stabilize my power so that when I setup my Houdini I won't have to change settings very often or ever. I think the LC1200 you ordered will fix up the power for a machine or two nicely. I hope so. I had a barbeque pinball party last weekend at 115 volts and it was a joke but I change my settings on flippers and we got some decent play out of them. At 9 p.m. the voltage was back up to 121 volts and balls were flying off the wire forms so I had to set them back down again. Reno Nevada is not the most stable power area. We have daily power outages but only for a few seconds so it's mandatory to have computers on battery backups and so forth. I'm an expert at resetting the clock on my stove and microwave. If I was faced with that, I'd be on a whole house generator/line conditioner. Total crap. Why isn't everyone on solar there? The Nevada government Chased all solar out of the state because it competed with the electric companies Monopoly. This in turn raise the cost of solar installation on one's home to $50,000 and there was a penalty to attach it to the grid. Plus you could never recoup your investment on solar as they would only issue credits against your power consumption but only for a maximum of 5 years at a time so if you made too much power you would get nothing for it. Recently that has changed and they are backtracking due to the public being up in arms about this nonsense. Now solar gets a subsidy and there's no penalty to attach it to the grid. Still however if you make lots of power they won't give you any money for it. But in the meantime I'm hoping that the line conditioner will keep me around 119 to 120 volts. They come tomorrow so I will know pretty shortly. My APC BR 1300 UPS only kicks in when power goes below 110 so it's useless. Pretty sure it will smooth you out to 120v, but interested to know how many pins can benefit at once and still maintain the 119-120v. Yeah, solar is a mess these days because the utilities are freaking out that we're headed to decentralized renewable power and that cuts them out of the loop. Our city runs their own electric utility, which is good for rates, but terrible for solar because they discontinue rebates and will not let you have a 100% installation, capping you at about 70% so you always have to buy power from them. It's ridiculous, and someday soon, I hope illegal in CA. My games play pretty good at 118 volts. I would be very happy if power stayed between 118 to 120. I'm hoping for a stable 120 that they advertise on the box from Tripp Lite. We will find out tomorrow I'm pretty excited about it. I bought two units I was hoping to plug 2 games in each unit but if it ends up being one game for unit I'm still okay with that. Bad news. I finally got a reply back from Tripp Lite tech support. They say that their LC1200 does not kick in until the power drops to 111V or less, when it brings it back to 120-121V. So it will not help your mild brownout problem. I've emailed them back to ask which product will work with your specific condition. Sorry for recommending the LC1200 - their printed spec summary didn't mention this threshold. I havent recieved my plug in voltmeters yet to visually see the output differences but they are coming soon.. The advertisement says they put out continuous 120v and correct overvolt and undervolt conditions for a stable 120v. Fortunately I bought from amazon so if they dont do as advertised its a no risk test, I just send them back. Last night I had continuous 120v so no opportunity to see it in action. But the heat is up to over 100 in a few days, then we will see them either work or fail to do the job. Smoking a pack of cigarettes along the way?? I installed the lc1200. And ran it for 4 days. It did not adjust the voltage at all, as my lowest voltage over the weekend was 116 volts. So as suspected, the LC 1200, though I imagine it is an excellent line conditioner, it is not Suited for my minor brownouts that effect gameplay. I sent them back to Amazon free shipping, though it was a dismal failure, it was low-risk at best. I called the power company in my case nve. They guarantee power between 110 and 125 volts. They also said that the manufacturer is supposed to make and sell equipment that runs properly at 110 volts. In this way everything I purchase should work properly and have no problems during its duty cycle. This gave me some ideas to think upon. It seems to me that pinball machines should be set to run at 110 volts and not change their characteristics if the voltage goes above 110 volts. In this way one can adjust settings the way they say fit, and any voltage fluctuations would not alter the outcome of the settings they made. I imagine that this is what the power supply daughter board is all about. 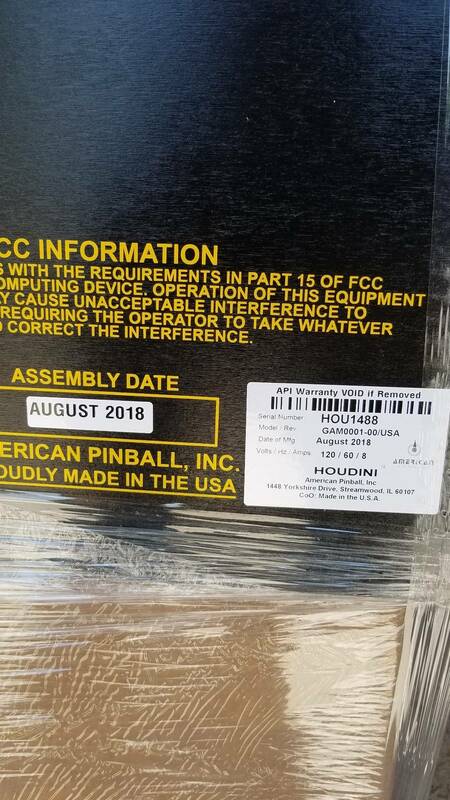 I have a prepaid Houdini coming from Game Exchange Colorado. My question is, should I buy the variac and set it to 115 volts, which is my nominal voltage that I have seen. Or should I acquire the daughter board which is being worked on at API instead? I wonder what voltage the lab is set at when building and testing the Prototype machines at API. If it were me I would run them on a variac set at 110 volts. I'm pretty sure this is the case. And no fault lies with API. I'm confident there is no fault with the machine in fact it has nothing to do with the quality of the machine or any pinball manufacturers products. It's really just a matter of settings. I have it in my mind that if I adjust settings on my pinball machines, I would like those settings to hold for the duration. But as most of us have seen when the power from the wall changes it also changes the outcome of your settings. I just think it would be good to find something to address this issue. I further believe that this power fluctuation issue is what causes poor gameplay at trade shows and some operators locations and even in some people's homes especially in outlying areas, or like me living at the end of town. I've been corresponding with Tripp Lite tech support to see which of their products WILL keep line voltage at 120. I'll let you know what I find out. I also told them their spec sheet for the LC1200 should DEFINITELY mention that it won't kick in until the power gets down to 111v. That's good to hear it'd be nice if they had something that would work. It's also disappointing and misleading that they use the term continuous 120 volts. I contact Cyberpower about the "Continuous" 120VAC line voltage with their Cyberpower CP1500AVR UPS. Thank you for contacting CyberPower Tech Support. This unit does not adjust the voltage unless it goes below 100 or over 140. 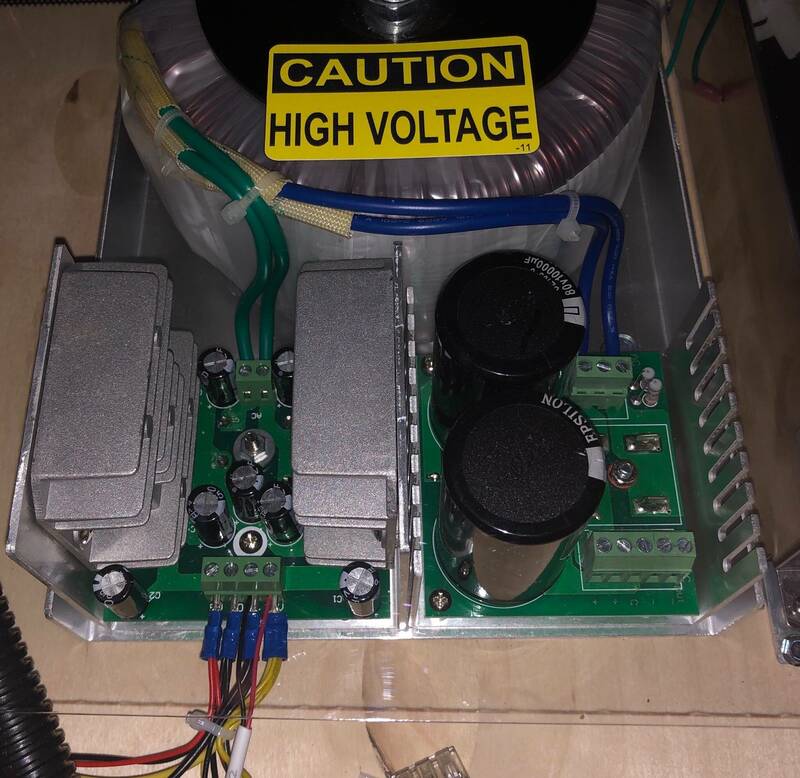 If you need your voltage to be locked in at 120 no matter what the input voltage, then you need a double conversion unit. These are a very different class of products usually used only in corporate server room environments. The closest equivalent product is the OL1500RTXL2U. The power company in my area says it's the responsibility of the device manufacturer to regulate the power it requires. Since they guarantee the lowest power to be 110v. All that the device manufacturers need to do is regulate the maximum power consumption to 110v. It does seem odd that pinball machines regulate power to a certain degree but are affected by voltage drops of 10v or less. I'm looking for a cost effective solution for this. I thought AP was working on a possible voltage solution for the catapult? Is this still happening AP? Its not just API. It's all my games. AFMr and WOZ are also greatly affected as well as my older B/W titles. I really like the way on the new games I can adjust coils on the fly when the power drops but it's a hassle during the summer with multiple games need attention. And the power changing from 115v at 5pm to 120v at 9pm. It's ok on a regular day but really tough when having a pinball get together. And my games play poorly until I adjust them. I thought it might be good to give some background on the stage. The first concept for the stage was that it would be a single element that would rotate, almost like a pie with a slice missing, where the ball would be, and as it did so a curtain would appear, and as the ball was rotated to the back it would drop through a hole and down to the subway. We then brought in the mechanical engineer who was going to design the mech. I described to him what I wanted and he figured out than rather then rotating it, we could have the floor drop out. He used a captive ball for that, since that was in the original concept. While there was no guarantee, he felt that it might work that it can push the ball out. In initial testing I was able to push it our with high reliability and started coding with that in mind. At one point I said we can probably lose the captive ball and just have a ‘floor’ that we can raise and lower (since I can lower the ball and bring it back into view), but at that point making those kinds of changes were not feasible. Although I have thought about having the captive ball up and having the player hit it, I decided that was not worth the risk of it potentially damaging the mech. So the captive ball really gets little use in that regard. Other then confusing people who think a ball is trapped in the stage. Then a few hours before expo, when they had finished the first production samples the eject of the ball was not working. When I went to go see why I saw they had changed the floor of the stage, where it was now coined to create a softer lip in the back. Let just say I was extremely vocal in that a change was made without me being notified, to which I was told that was always the plan, to which I responded, news to me, and that is not what I had been working with for months. But at that point here was no way to change it, since all the parts had been made. The real problem is the coining created a lip that prevents the ball from smoothly moving around the captive ball and rolling out. Filing down the lip was not feasible since it could result in rusting. Some quick attempts, hours before expo, to get around that failed and I shelved it for expo and for quite some time. That is when the setting was added and defaulted to off. Recently I decided to take another crack to get it to work, and while not 100%, on my machine it works probably 70% of the time, so that is why I indicated that you might want to try the feature. The main downside is while it will handle the failure and send it to the subway, if that happens, you can lose a couple of seconds off the timer. It is certainly possible, I will make more of the illusions to go back to my original ideas on the ball disappearing, reappearing and then coming back out. I believe now in one mode I do that now, can’t remember. So, now you know the rest of the story. I suggest trying to calibrate again, and make sure the game is level side to side. If it still does not work, send me a video and I'll see if there is anything else I can suggest. Filing down the lip that the ball can catch on, on the right side could help, but that can create other issues, like rusting. I'm confident that the stage eject can be made to work 100%. Show us the area that to want reworked please. I'm not concerned about rusting as parts can be plated after the fact easily enough, or coated. I do think that all of the work you put in on this will pay off. Please continue on coding this feature to perfection. We as a group can certainly resolve any mech adjustments. We have machinists, electrical engineers, metal platers and a whole group of professionals at our disposal on pinside. I know we can make it work petfectly. The stage mech test walks through each step, you need 'learn' the sequence to know when to put the ball in (e.g. you want to avoid the 'drop' step). After 'close' and 'open' curtain, it is then 'captive ball', then it is 'ready', then 'hold' and then 'eject', so put the ball into the stage when on 'ready'. Using the right flipper then move to hold, which should lower it out of view and then right flipper to eject which should bring it up and eject it. The way it works is it will raise the ball up towards the back and then as the captive ball comes part way down, the ball will roll around it and out, typically to the right side, unless it catches not the lip. Since the ball is not moving fast, does not take much to stop it. Not real clear in the photo is the lip, but if you run your finger on it in your machine you will feel/see it. Not sure 100% will ever be achieved, the fact it works at all is sort of serendipity, but is cool when it does. Taking the stage out is not for the faint of art and I strongly recommend not doing it. Taking it apart after taking it it out is an even worse idea, it has to go together very precisely or you will have serious issues. It may be possible to Dremel down the lip and then coat that one little area without removing the stage. Wow, I thought it was more involved than that. I think a lot of us can fix this. Looks like an easy adjustmemt. Debris will be collected with inverted duct tape and dust will be removed with mini vac and compressed air. Should be about a 30 min adjustment. I will file that down as soon as I get my game. I would use a dremel but I don't like the sideways torque of the tool in this case. Too much control needed. Too much risk of unneccessary damage. Anyone else have ideas on how to ease down that lip? Also thinking about a shaved down demel cutoff wheel and using it in a grinding motion I have some extended arbors. What gauge wire is used in the power cord that ships with Houdini? Do you think a heavier gauge power cord would handle the wall voltage drops better for the catapult? I know I had reset issues with my WCS94. I used a heavier gauge power cord and the issues went away for a year, well at least before the reset issue got worse due to the bridge rectifiers failing. I installed a Kahr power fix daughter board to the CPU board and never had to fix the rectifiers after that. It was 102 degrees outside. My power was 115 all day. About 6.5 still, I would think a steeper game would make the eject work better, but maybe not. Set the pitch to 6 degrees and see if it works. One would have be on par with the test game to make an accurate comparison. Or at least to have a starting place. Your captive ball is not dropping as low as on the test game. But how do you know you pulled logs or re-installed the software if you can't even get a display? Dont the logs autowrite to a USB stick on bootup? 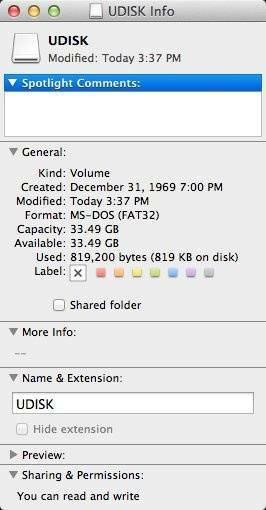 In case of catastrophic failure? My Houdini arrives tomorrow via SAIA trucking! Fresh off the assembly line for fully loaded games last week. Cant wait to play this wonderful game! I think part of the problem is that the plastic spoon is too flexible. My understanding is that it is the same part that was used for Williams catapults but these were for shorter or less demanding shots. Perhaps the spoon could be redesigned to have a thicker or reinforced arm and thus be more rigid (side-to-side) to assist with left or right misses. Additionally, rather than relying on the loose plastic pivot, a tighter toleranced bronze bushing could be installed that would fit the pivot shaft more closely and thus also assist the left-right misses. There are many 3D printer materials that are now readily available (metalic as well as plastics) that the spoon could be made from and this manufacturing process wouldn't require new, expensive injection molds. Perhaps this would be a good area for a creative third party modder to investigate. 3D materials are still in their infancy and not suited for commercial use other than prototyping or artwork. Machined polycarbonate would work though or steel with a delron scoop for rigidity. To insure its accuracy regardless of the flexing of the scoop. 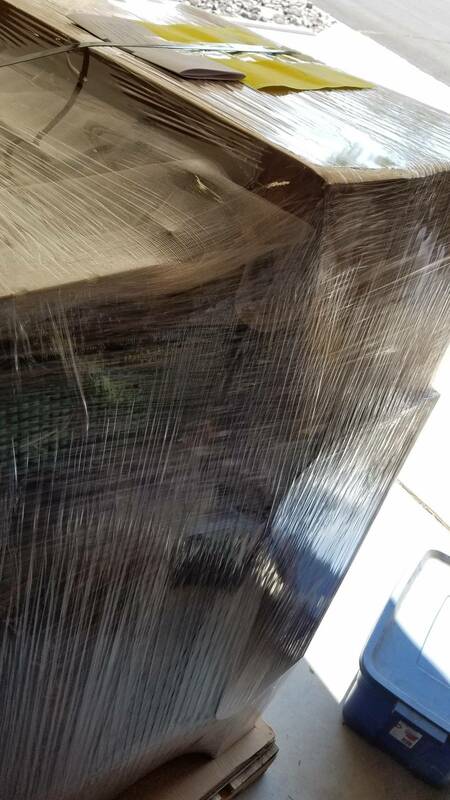 Driver was very nervous, he had never delivered a pinball machine before and wanted to inspect for damage right with me. SAIA LTL on this leg of the journey was amazing, helpful, polite and couteous. The box looked like it might have just been packed, fresh and new. Many thanks to JJ at game exchange Colorado (@gex). Now I have to sell my Theatre of Magic to make room! At last! As far back as Pin A Go Go 2017 I kept telling AP that scoop was going to be a problem for wear and it should have a Cliffy on it from the factory. So factory cliffy's as an option? But I ordered them before I even got my game. Going to install them as part of my initial setup this weekend. When the first few machines went out we were seeing some issues with the left lock switches and I adjusted code to not keep more than one ball there, vs sometimes allowing two be held (there would never be three kept there). We quickly identified the issue with the switches and replaced them (including all machines that had shipped), and that resolved the issue. I've never adjusted the code back, since there is not a lot of need to keep more than one staged there, not to say that may not change in the future. I think it would be very cool if two balls were actually locked up there. I know it's kind of retro, and I know it's not really necessary, but seeing it in action is a cool thing if it actually works consistently. Houdini is in the house! Set pitch to 6.4 degrees (averaged out), set horizontal pitch to zero across the playfield. Closed the right outlane to the narrowest setting. Set at 3 balls per game. Increased all ball savers to the max (can shorten later). The game is NOT TOO HARD AT ALL! Maybe people will see this and reconsider? The shots are tight but challenging and fun! But we knew about that, I'll see if it's worth sorting out. Game is too fun to be torn apart for experimentation, I cant get my wife off it. She's addicted lol. More later, it's my turn to play! Trunk shot is set at 26 now and is 100% accurate. The left flipper collapsed during seance mb. It was hit with 2 balls at the same time and then immediately hit with a high speed 3rd ball. I turned on the flipper hold boost, I hope this corrects that. Some work could be done in grace periods when a ball is lost due to not being flipped at all. But drained off the auto launch or scoop.